* KTM may not sell all the bikes listed here in all showrooms. KTM bike pictures are for representation purpose only. 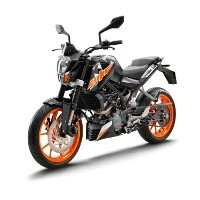 To book and know the on road price of any KTM bike click the buy now button. KTM, an Austrian motorcycle manufacturer which stands for Kraftfahrzeuge Trunkenpolz Mattighofen which markets its bikes through Bajaj 2 Wheel. KTM was established by an engineer named as Hans Trunkenpolz in Mattighofen in 1934 and started its motorcycle production from 1954. 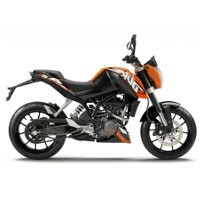 KTM bikes is mainly known for its off road motorcycles. Later it expands its motorcylce production into street motorcycle production. 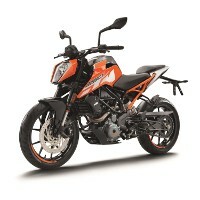 Already Own a KTM two wheeler? KTM bikes are outstanding . Plzz launch KTM Rc 125. In India. As u can launch it soon . Plzzz. #LOVE KTM RC..